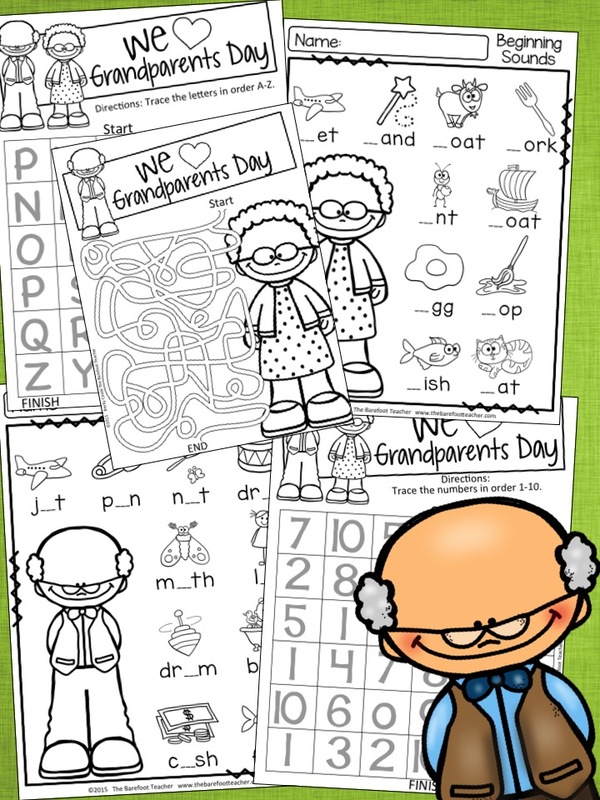 Grandparents Day is just a few weeks away (September 10th) so I thought I'd share some activities that you can use with your kiddos in celebration of their loved ones. 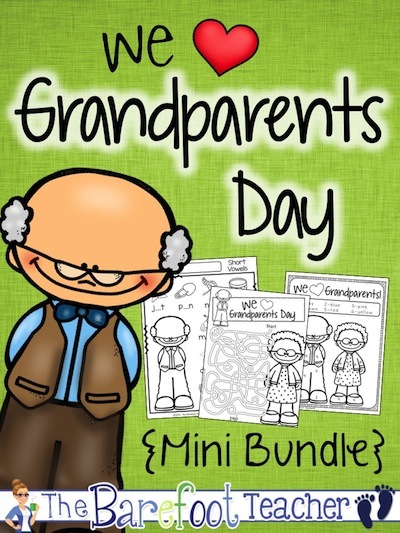 This day is a really hard one for me to blog about, as it brings to mind memories of many dear grandparents who are no longer with us. 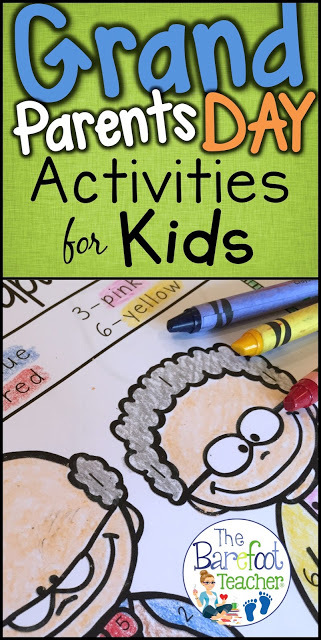 At the time that these activities were made, a very special Great-Grandma had just passed. 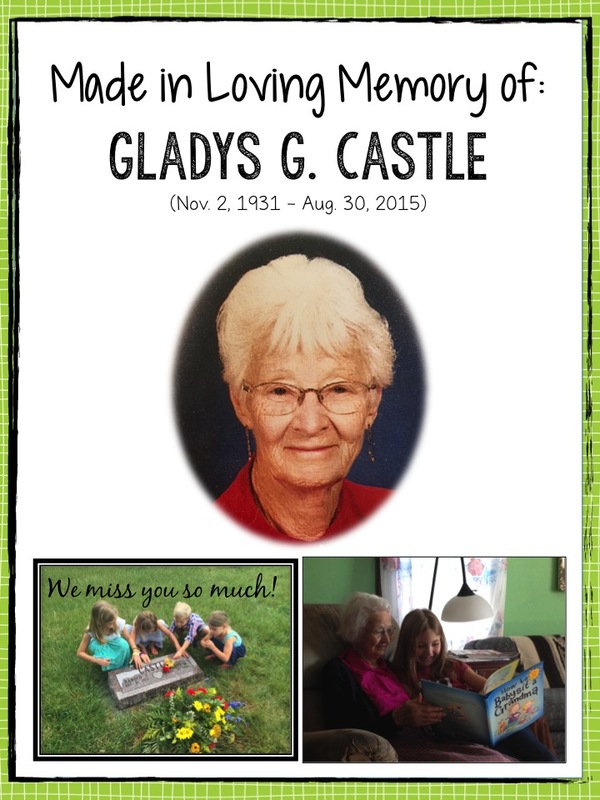 These resources were made in special honor of her. 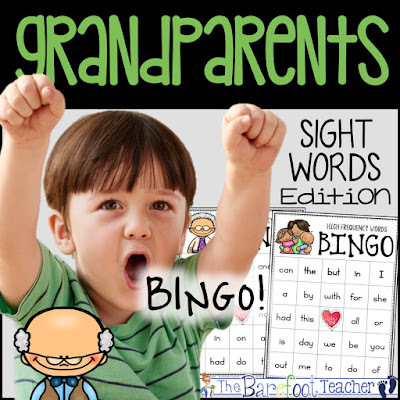 Alright, let's brush those tears aside and dive into some things that will give your littles a chance to appreciate and celebrate the grandparents in their lives! 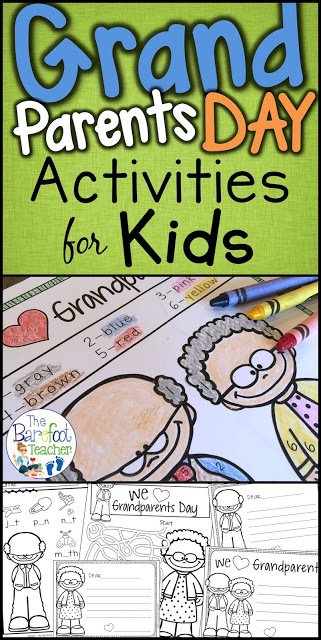 You never know what activity or craft their grandparents will hold dear to their hearts. Earlier this year, Great-Grandpa also passed. 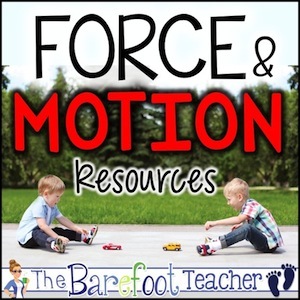 Amongst some of his belongings was one of the Love Notes (I'll show you them below) that one of my kids had written him from this resource pack! So I encourage you to encourage your students to pass on their completed cards, coloring pages, and notes to their grandparents. It will be a very special to them if it was saved and they receive it back some day. 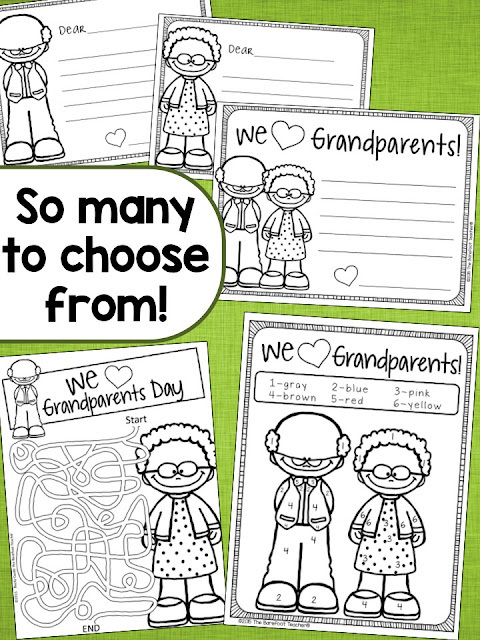 So the "We Love Grandparents" pack includes 22 pages that you can print and use. It was made with Kindergarten in mind, but can be used for Preschool and even First Grade. 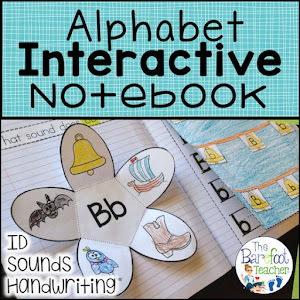 It has both Upper and Lower case Alphabet letter tracing practice. 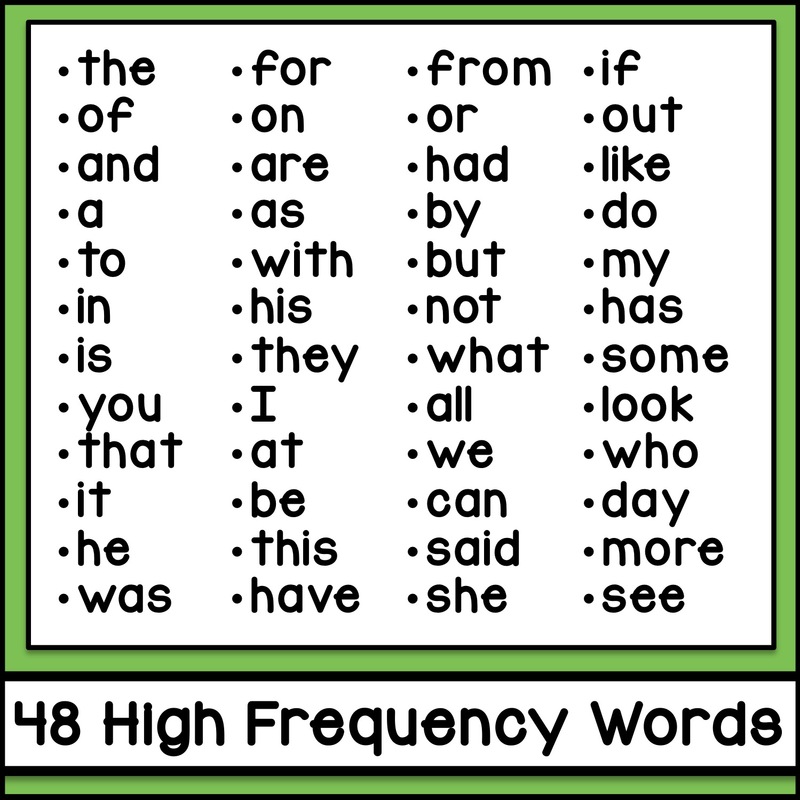 Number tracing too. 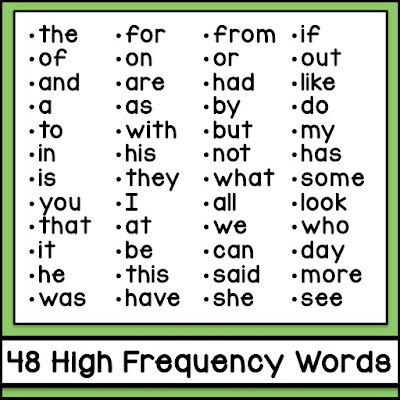 Multiple mazes with no blocks give all learners a chance to succeed. 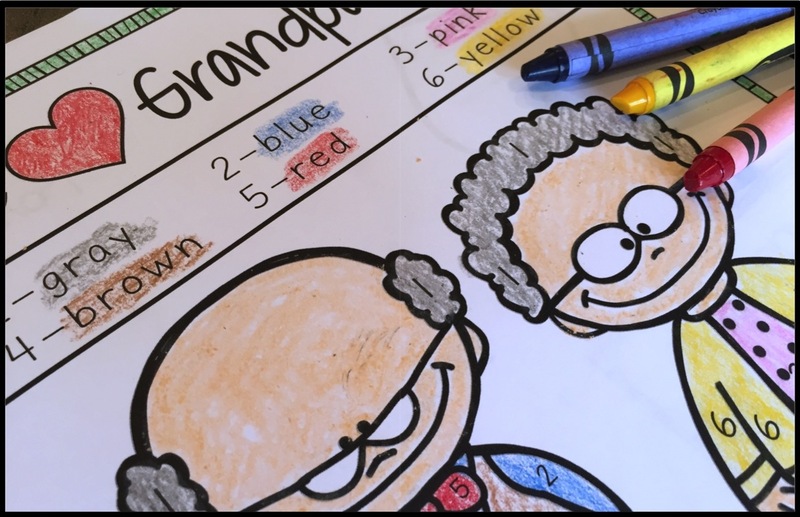 Students can make it harder if they'd like by drawing in their own blocks! 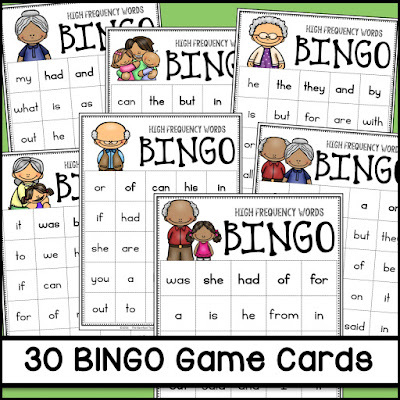 Phonics beginning, middle vowel (CVC), and end sounds practice has adorable grandparent pictures on them. And here are the Love Notes I mentioned above. 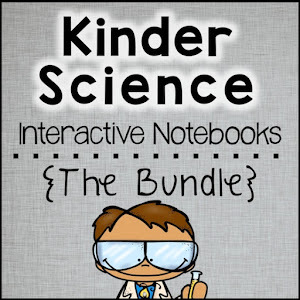 There are a bunch to choose from, including a foldable card! 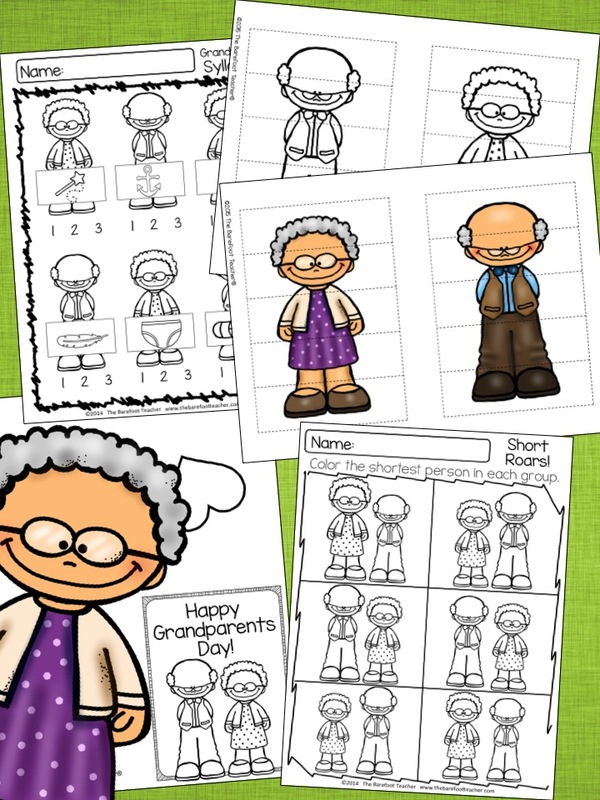 A color-by-number and also coloring sheet are included for some color word fun. 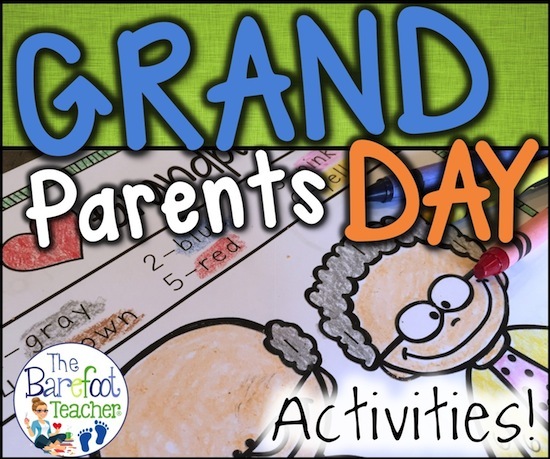 Does your school host a Grandparents Day event? 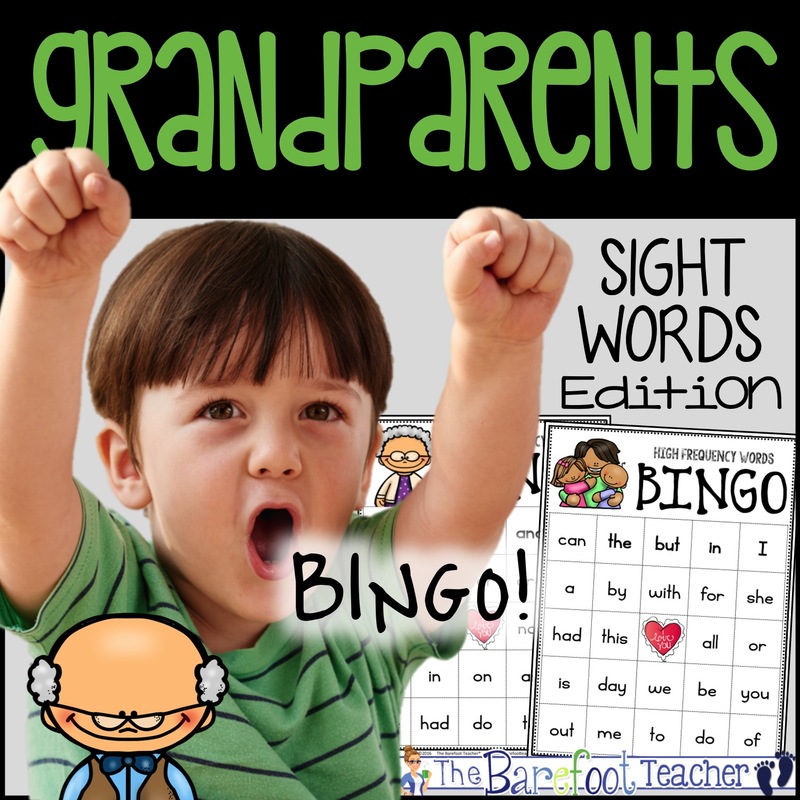 If Grandparents are coming (and even if they're not) this is an excellent way for students to show off the sight words they've learned so far. 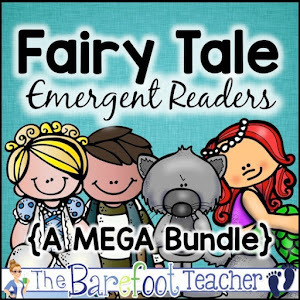 It's also an easy opportunity for their grandparents to take part in helping them if needed! 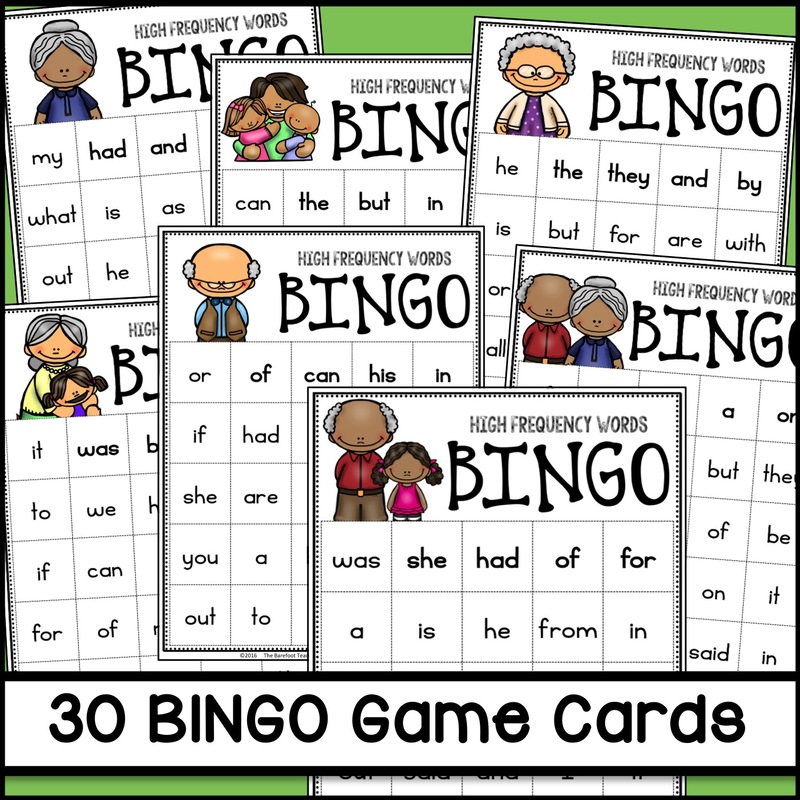 There are THIRTY Bingo cards to choose from. 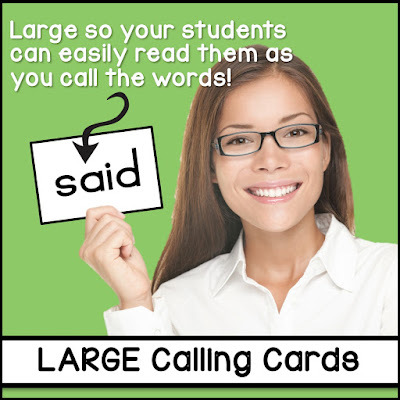 The calling cards are LARGE so that all students (and grandparents) can easily see them from the front of the room. 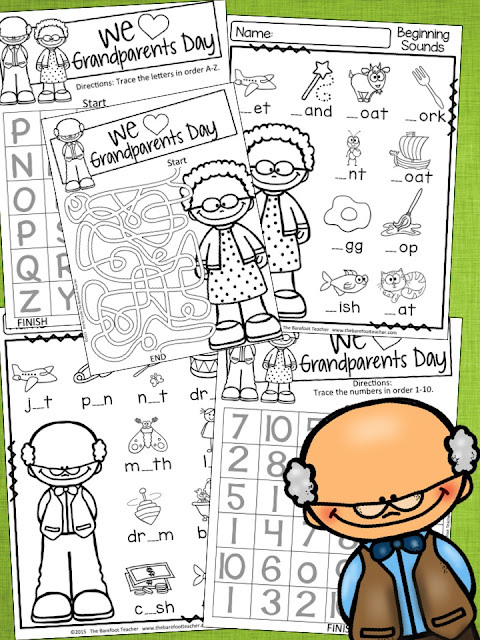 Enjoy preparing for Grandparents Day for your littles! 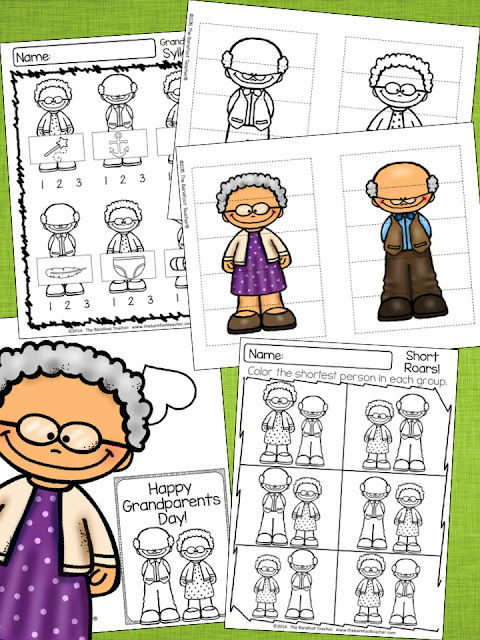 I know that their loved ones will appreciate the time and effort you spend making their special day memorable!